Susie Craft Happy here with today's Action Wobble Design Team post! 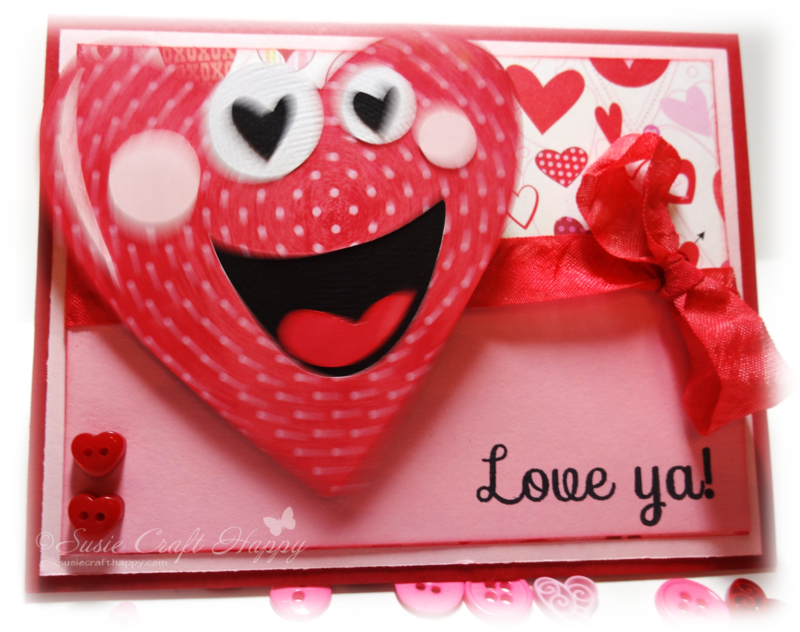 Today I'm sharing a quick and easy Valentine's Day card I created. I think I'm going to give this one to my brother. He always tells me, "Love ya", so when I saw this sentiment stamp I didn't hesitate to buy it. This heart image is from Cricut's Smiley Cards cartridge and it's absolutely cute with it's wide heart eyes. The patterned papers are from K & Company's along with Stampin' Up papers for the mat and card base. 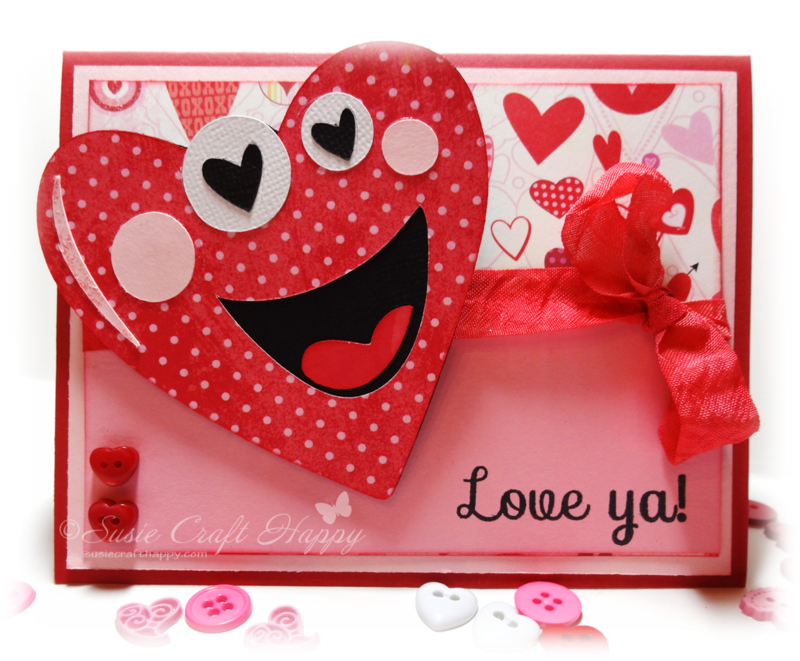 The sentiment stamp is from SP & Company's In Love Emma stamp set and is perfect for my happy heart card. I have to say, there's not much that doesn't work with an Action Wobble. Action Wobbles make your images come alive and take your already fun card or project to the next level! If you haven't tried Action Wobbles for yourself, order them today. To purchase your Action Wobbles visit the Royal Shoppe by clicking here and for more details on my card, please visit my blog. I hope you enjoyed my wobbling happy heart card. Be sure to come back tomorrow for more inspiration and ideas with Action Wobbles! I love this!!! Adorable and the Wobble just adds that certain something to your cute design!